FnB Private Equity, which invests in SMEs in western Europe, has acquired a majority stake in a France-based meats business. The buy-out house has backed Henri Raffin, which it described as "a major player in charcuterie in France". 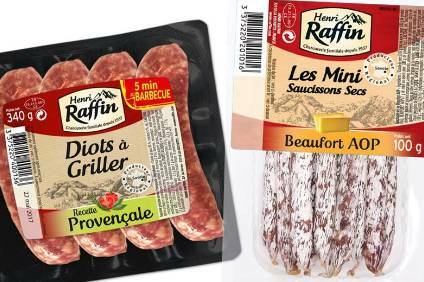 Henri Raffin markets products under its namesake brand, as well as le Galibier, P'ty Breizh and le Petit Savoyard. In a statement, FnB Private Equity said the transaction would "allow [Henri Raffin] to continue its development in the same spirit behind its success so far, namely the requirement for quality in products and service for its customers and consumers". Financial details were undisclosed. FnB Private Equity did say Henri Raffin generates turnover of EUR50m (US$57.2m). The firm has two production units in Savoie, one specialised in sausage, the other in ham. The investment is the fourth made by FnB Private Equity, which was set up in 2017 by a team of investors and entrepreneurs, including former Unilever executives Olivier Marchand and Valérie Lutt. Earlier this year, FnB Private Equity announced it had teamed up with investor Agro Invest to acquire a majority stake in French fruit-based product company Valade Group.